Robert Lewandowski revealed he turned down calls from Cristiano Ronaldo and Sergio Ramos to join them at Real Madrid. 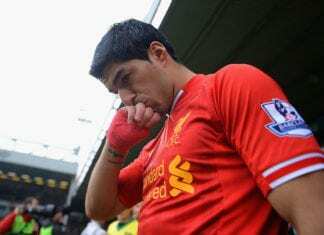 The 30-year-old is regarded as one of Europe’s most lethal strikers on the back of being the Bundesliga’s all-time record foreign scorer on 197 goals in 281 games. Since arriving at Bayern Munich in 2014, Lewandowski’s profile has only grown and led to him being repeatedly linked with a transfer to Real Madrid. 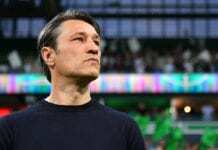 Last season saw the Poland international coming the closest he’s ever been to leaving Bayern and he even indicated that a move to Los Blancos would be welcome. Despite the Spanish giants’ best efforts, however, no move materialised for Lewandowski even when both Ronaldo and Ramos came calling. 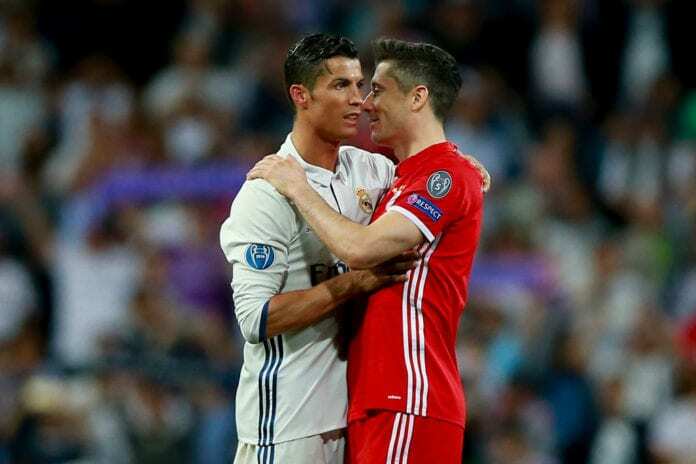 “Yeah, but you know, if you play at the high level, everyone says, ‘He can move there or there or there’, but it’s not important for me,” Lewandowski told BBC Radio on Ronaldo and Ramos urging him to join Real Madrid. 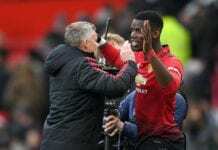 Ole Gunnar Solskjaer is hopeful Paul Pogba will still be a Manchester United player next season amid growing talk of a summer move to Real Madrid. After staying put in Munich last summer, Lewandowski appears to be enjoying one of his most impressive campaigns at Bayern on the back of 29 goals and 11 assists in 35 appearances across all competitions. In January, the seven-time Polish Player of the Year announced he sees himself sticking it out with Bayern for the remainder of his career. He added: “If you’re playing at one of the best clubs in Europe, in the world, you know you can be happy. Bayern will be in action this evening at home to Mainz in the Bundesliga with kick-off set for 18:00 (CET).